A mystery music celebrity has won a big casino jackpot at Aces.com, but respecting the winner’s privacy, the retro-Vegas gambling site won't say who the winner actually is. Just like Vegas, what happens at Aces.com stays at Aces.com. Aces.com provided a backstage poker table at the Radio Music Awards in Las Vegas recently. An Aces.com account with $5000 pre-deposited was included in the booty that the performers and award winners received that evening. 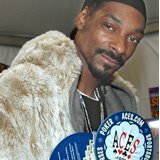 One of the celebrity account holders has been playing at Aces.com since then and recently won $32K playing online casino games. While Aces.com’s casino games and poker rooms are always popular, this week, as March Madness culminates in the Final Four championship, the action is focused on the sportsbook. Whoever the mystery celebrity winner is, they seem to be on a roll. If they’re a sports fan, they might want to put some of that casino jackpot on the Final Four.